Fetal alcohol spectrum disorders (FASDs) are a group of conditions that can occur in a person whose mother drank alcohol during pregnancy. 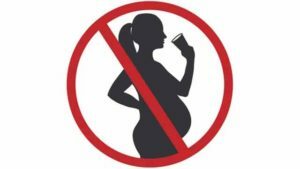 FASDs are caused by a woman’s drinking alcohol during pregnancy. Alcohol in the mother’s blood passes to the baby through the umbilical cord. When a woman drinks alcohol so does her baby. These effects can include physical problems and problems with behavior and learning. Often, people with FASDs have a mix of these problems. If you think your child might have an FASD, talk to your health care provider. FASDs refer to a range of effects that can happen to a person whose mother drank alcohol during pregnancy. These conditions can affect each person in different ways, and can range from mild to severe. They can affect the mind or the body, or both. Because FASDs make up a group of disorders, people with FASDs can exhibit a wide range and mix of symptoms. Download and print the FASD Fact Sheet from the CDC. If you or your health care provider thinks your child could have an FASD, ask your provider for a referral to a specialist. For providers and clinics in your area, visit the National and State Resource Directory from the National Organization on Fetal Alcohol Syndrome (NOFAS) www.nofas.org/resource-directory/ or call 800–66–NOFAS (66327). The purpose of the Mental Health and Recovery Board is to plan, coordinate, fund, and evaluate efficient outcome-driven mental health and recovery services of the highest quality that are accessible to all of the diverse residents of Belmont, Harrison, and Monroe counties.